What exactly is semantic segmentation? Semantic segmentation is understanding an image at pixel level i.e, we want to assign each pixel in the image an object class. For example, check out the following images. Left: Input image. Right: It’s semantic segmentation. Source. 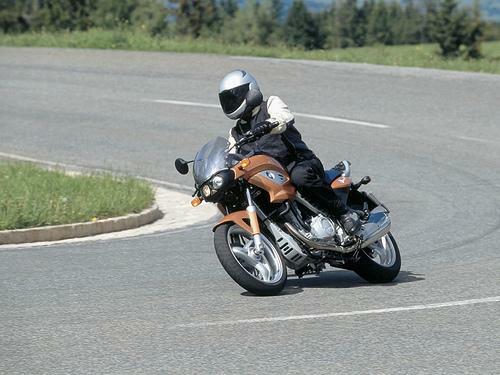 Apart from recognizing the bike and the person riding it, we also have to delineate the boundaries of each object. Therefore, unlike classification, we need dense pixel-wise predictions from our models. VOC2012 and MSCOCO are the most important datasets for semantic segmentation. Before deep learning took over computer vision, people used approaches like TextonForest and Random Forest based classifiers for semantic segmentation. 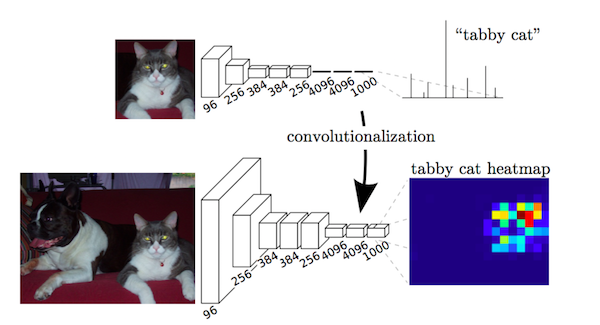 As with image classification, convolutional neural networks (CNN) have had enormous success on segmentation problems. One of the popular initial deep learning approaches was patch classification where each pixel was separately classified into classes using a patch of image around it. Main reason to use patches was that classification networks usually have full connected layers and therefore required fixed size images. 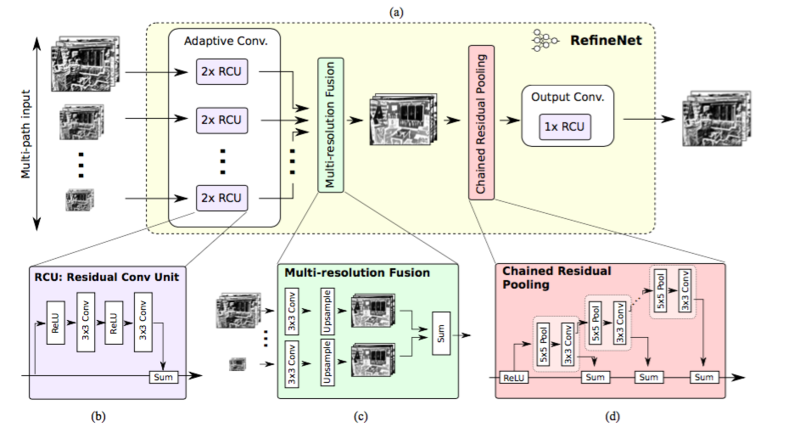 In 2014, Fully Convolutional Networks (FCN) by Long et al. from Berkeley, popularized CNN architectures for dense predictions without any fully connected layers. This allowed segmentation maps to be generated for image of any size and was also much faster compared to the patch classification approach. Almost all the subsequent state of the art approaches on semantic segmentation adopted this paradigm. Apart from fully connected layers, one of the main problems with using CNNs for segmentation is pooling layers. Pooling layers increase the field of view and are able to aggregate the context while discarding the ‘where’ information. However, semantic segmentation requires the exact alignment of class maps and thus, needs the ‘where’ information to be preserved. Two different classes of architectures evolved in the literature to tackle this issue. First one is encoder-decoder architecture. Encoder gradually reduces the spatial dimension with pooling layers and decoder gradually recovers the object details and spatial dimension. There are usually shortcut connections from encoder to decoder to help decoder recover the object details better. U-Net is a popular architecture from this class. U-Net: An encoder-decoder architecture. Source. Architectures in the second class use what are called as dilated/atrous convolutionsand do away with pooling layers. Dilated/atrous convolutions. rate=1 is same as normal convolutions. Source. 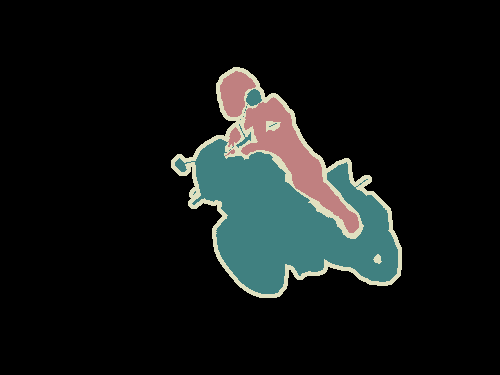 Conditional Random Field (CRF) postprocessing are usually used to improve the segmentation. CRFs are graphical models which ‘smooth’ segmentation based on the underlying image intensities. They work based on the observation that similar intensity pixels tend to be labeled as the same class. CRFs can boost scores by 1-2%. CRF illustration. (b) Unary classifiers is the segmentation input to the CRF. (c, d, e) are variants of CRF with (e) being the widely used one. Source. In the next section, I’ll summarize a few papers that represent the evolution of segmentation architectures starting from FCN. All these architectures are benchmarked on VOC2012 evaluation server. For each of these papers, I list down their key contributions and explain them. I also show their benchmark scores (mean IOU) on VOC2012 test dataset. Key observation is that fully connected layers in classification networks can be viewed as convolutions with kernels that cover their entire input regions. This is equivalent to evaluating the original classification network on overlapping input patches but is much more efficient because computation is shared over the overlapping regions of patches. Although this observation is not unique to this paper (see overfeat, this post), it improved the state of the art on VOC2012 significantly. Fully connected layers as a convolution. Source. 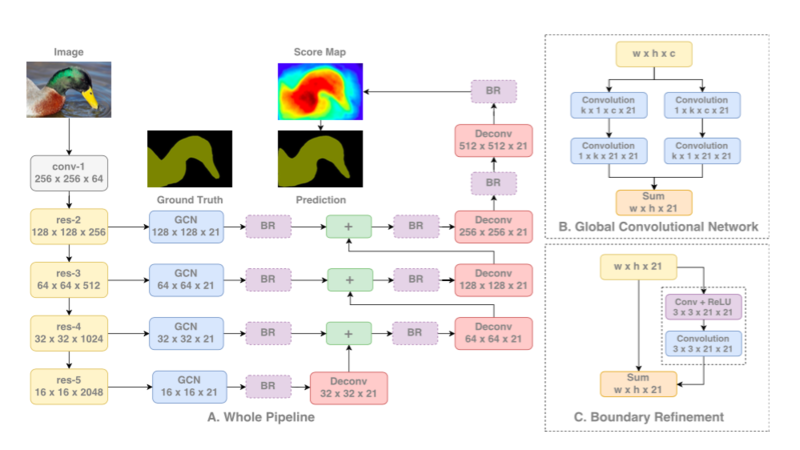 After convolutionalizing fully connected layers in a imagenet pretrained network like VGG, feature maps still need to be upsampled because of pooling operations in CNNs. Instead of using simple bilinear interpolation, deconvolutional layers can learn the interpolation. This layer is also known as upconvolution, full convolution, transposed convolution or fractionally-strided convolution. However, upsampling (even with deconvolutional layers) produces coarse segmentation maps because of loss of information during pooling. Therefore, shortcut/skip connections are introduced from higher resolution feature maps. This was an important contribution but state of the art has improved a lot by now though. Maxpooling indices transferred to decoder to improve the segmentation resolution. FCN, despite upconvolutional layers and a few shortcut connections produces coarse segmentation maps. Therefore, more shortcut connections are introduced. However, instead of copying the encoder features as in FCN, indices from maxpooling are copied. This makes SegNet more memory efficient than FCN. FCN and SegNet are one of the first encoder-decoder architectures. Benchmarks for SegNet are not good enough to be used anymore. Use dilated convolutions, a convolutional layer for dense predictions. Propose ‘context module’ which uses dilated convolutions for multi scale aggregation. Dilated convolutional layer (also called as atrous convolution in DeepLab) allows for exponential increase in field of view without decrease of spatial dimensions. Last two pooling layers from pretrained classification network (here, VGG) are removed and subsequent convolutional layers are replaced with dilated convolutions. In particular, convolutions between the pool-3 and pool-4 have dilation 2 and convolutions after pool-4 have dilation 4. With this module (called frontend module in the paper), dense predictions are obtained without any increase in number of parameters. A module (called context module in the paper) is trained separately with the outputs of frontend module as inputs. This module is a cascade of dilated convolutions of different dilations so that multi scale context is aggregated and predictions from frontend are improved. Note that predicted segmentation map’s size is 1/8th of that of the image. This is the case with almost all the approaches. They are interpolated to get the final segmentation map. Atrous/Dilated convolutions increase the field of view without increasing the number of parameters. Net is modified like in dilated convolutions paper. Multiscale processing is achieved either by passing multiple rescaled versions of original images to parallel CNN branches (Image pyramid) and/or by using multiple parallel atrous convolutional layers with different sampling rates (ASPP). Structured prediction is done by fully connected CRF. CRF is trained/tuned separately as a post processing step. Approach of using dilated/atrous convolutions are not without downsides. Dilated convolutions are computationally expensive and take a lot of memory because they have to be applied on large number of high resolution feature maps. This hampers the computation of high-res predictions. DeepLab’s predictions, for example are 1/8th the size of original input. So, the paper proposes to use encoder-decoder architecture. Encoder part is ResNet-101 blocks. 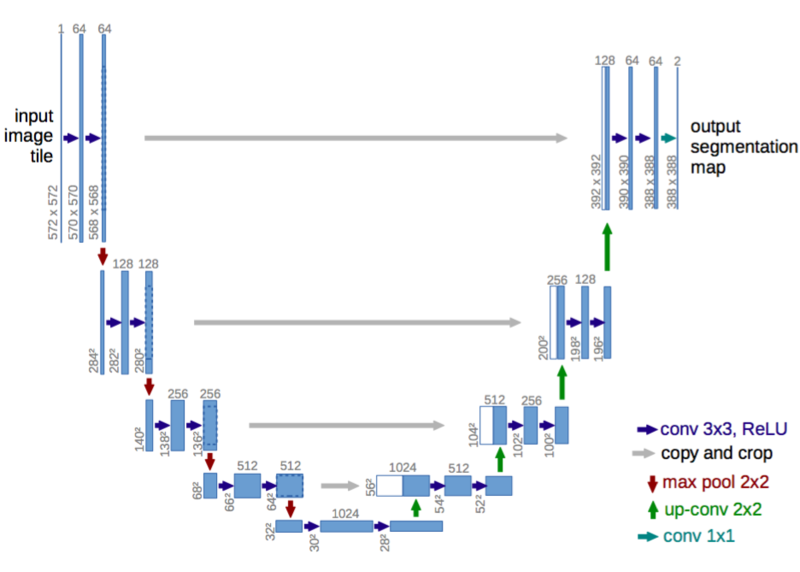 Decoder has RefineNet blocks which concatenate/fuse high resolution features from encoder and low resolution features from previous RefineNet block. Each RefineNet block has a component to fuse the multi resolution features by upsampling the lower resolution features and a component to capture context based on repeated 5 x 5 stride 1 pool layers. Each of these components employ the residual connection design following the identity map mindset. Propose pyramid pooling module to aggregate the context. Global scene categories matter because it provides clues on the distribution of the segmentation classes. Pyramid pooling module captures this information by applying large kernel pooling layers. Dilated convolutions are used as in dilated convolutions paper to modify Resnet and a pyramid pooling module is added to it. This module concatenates the feature maps from ResNet with upsampled output of parallel pooling layers with kernels covering whole, half of and small portions of image. An auxiliary loss, additional to the loss on main branch, is applied after the fourth stage of ResNet (i.e input to pyramid pooling module). This idea was also called as intermediate supervision elsewhere. Semantic segmentation requires both segmentation and classification of the segmented objects. Since fully connected layers cannot be present in a segmentation architecture, convolutions with very large kernels are adopted instead. Another reason to adopt large kernels is that although deeper networks like ResNet have very large receptive field, studies show that the network tends to gather information from a much smaller region (valid receptive filed). Larger kernels are computationally expensive and have a lot of parameters. Therefore, k x k convolution is approximated with sum of 1 x k + k x 1 and k x 1 and 1 x k convolutions. This module is called as Global Convolutional Network (GCN) in the paper. Coming to architecture, ResNet(without any dilated convolutions) forms encoder part of the architecture while GCNs and deconvolutions form decoder. A simple residual block called Boundary Refinement (BR) is also used. ResNet model is modified to use dilated/atrous convolutions as in DeepLabv2 and dilated convolutions. Improved ASPP involves concatenation of image-level features, a 1x1 convolution and three 3x3 atrous convolutions with different rates. Batch normalization is used after each of the parallel convolutional layers. Cascaded module is a resnet block except that component convolution layers are made atrous with different rates. This module is similar to context module used in dilated convolutions paper but this is applied directly on intermediate feature maps instead of belief maps (belief maps are final CNN feature maps with channels equal to number of classes). Both the proposed models are evaluated independently and attempt to combine the both did not improve the performance. Both of them performed very similarly on val set with ASPP performing slightly better. CRF is not used. Both these models outperform the best model from DeepLabv2. Authors note that the improvement comes from the batch normalization and better way to encode multi scale context. DeepLabv3 ASPP (used for submission). Source. 1. What exactly is semantic segmentation? 2. What are the different approaches?